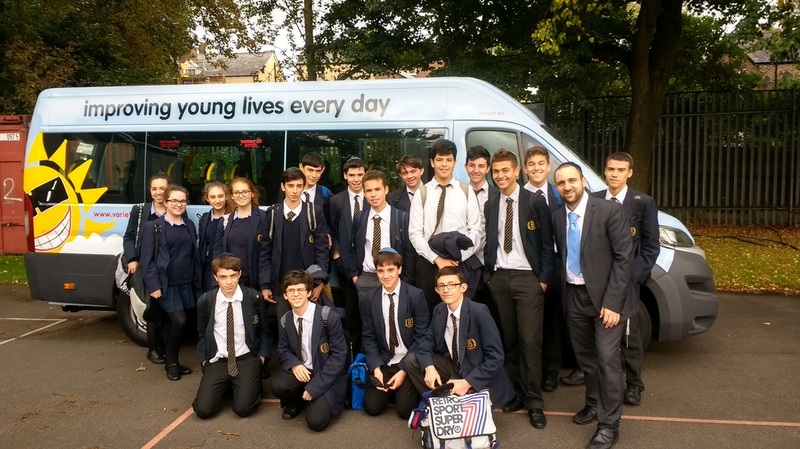 The donation of a brand new minibus at King David High School was used for the very first time in the most fitting circumstances. The minibus, donated to the school by the Sunshine Variety Club and efforts of the Parents’ Guild was donated in memory of Dylan Samuels, the 15 year old pupil who tragically passed away last year. Fittingly the bus was used to take 25 of Dylan’s friends to the nearby Aish Centre for a Lunch and Learn to discuss profound major questions facing Jewish teenagers today; what is our purpose in life, can we know there is a G-d, what is unique about Judaism, among other topics.